Co-owners Kellie and Tuyen Truong. Photo by Ben Wong. Growing up in Vietnam, sisters Kellie and Tuyen Truong dreamed of owning a business together. Now residents of Pittsburgh, they were inspired to fulfill their dream based on a mutual craving for the traditional bánh mì they remembered as children. 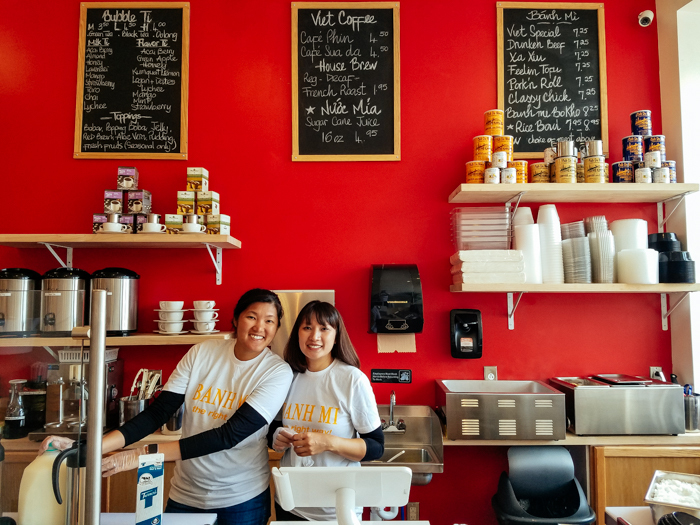 Bánh Mì & Tí, a Vietnamese eatery dedicated to the much-loved sandwich, is now open in Lawrenceville, and the sisters happily refer to themselves as co-owners. Bánh mì is traditionally a meat-filled sandwich served on a single-serving size baguette along with fresh cucumbers, cilantro, pickled carrots, chilis, mayonnaise and cheese. It has both French and Vietnamese influences with a history tied to Vietnam’s French Colonial period. French-leaning ingredients like paté and head cheese, and of course the baguette, are key elements in traditional versions of bánh mì. The Viet Special. Photo by Tom O’Connor. Born in Vietnam, the sisters had a special connection to the sandwich they remembered growing up, but had a hard time finding the traditional flavors they loved unless they made the bánh mí themselves. 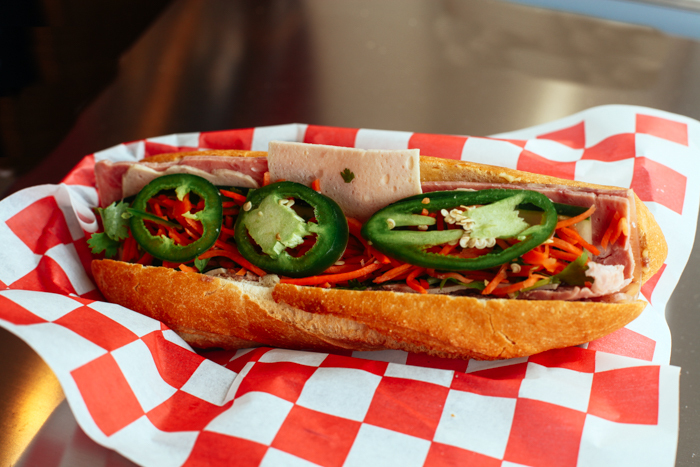 “We went to a couple places, but always felt like it wasn’t our bánh mì,” says Kellie. Because both women enjoy cooking and experimenting in the kitchen, it seemed like a natural step to share what they liked making themselves. 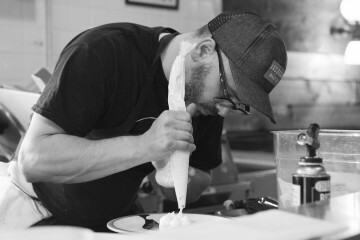 The twist is that their use of unique combinations, spices and sauces bends the traditions a little when they feel like it. The menu offers classic versions of bánh mì—pork, chicken, “drunken beef” and a tofu veggie option. 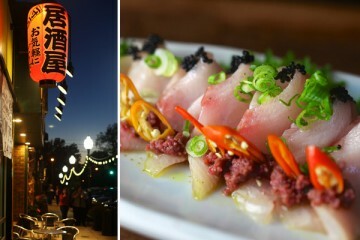 Their “Viet Special” features pork roll and paté, while “Classy Chick” has chopped chicken, fresh lemongrass and garlic. All the sandwiches are served with fresh vegetable toppings, pickled carrots and mayo. Chili options like jalapeños and Sriracha add a little heat if desired. “We found the perfect baguette to serve everything on from BreadWorks Bakery, based right here in Pittsburgh. It has just the right crunch which is really important” said Kellie. “It’s a lot of very simple ingredients all coming together to make the bánh mì so fresh, but that’s what we want to share with people,” adds Tuyen. The “ti” in Banh Mi & Ti means there’s also a full selection of traditional teas and bubble tea options. Bubble teas are a tea-based drink combined with fruit or milk, with small tapioca balls added. There’s also traditional Vietnamese coffee on the menu, made by mixing condensed milk with a strong dose of java. The result is a slightly more intense and thicker version of traditional coffee. All of the shop’s coffee is supplied by Cafe Du Monde, the French Market in New Orleans, noted for its unique chicory flavoring—another important nod to the French and Vietnamese traditions. One of the most interesting menu items that will probably be new to a lot of people is the Nuoc Mia or Sugar Cane Juice. It’s a Vietnamese classic made by feeding fresh sugar cane stalks through a cold press machine and extracting the juice then adding ice and a bit of fresh fruit. The sugar cane juice is sweet but not cloying, and when poured over ice it is very refreshing. Tuyen describes it as “a very traditional drink back in Vietnam, often with kumquat or strawberry or fresh orange added.” It’s a perfect choice to go along with some of the spicier bánh mì options. 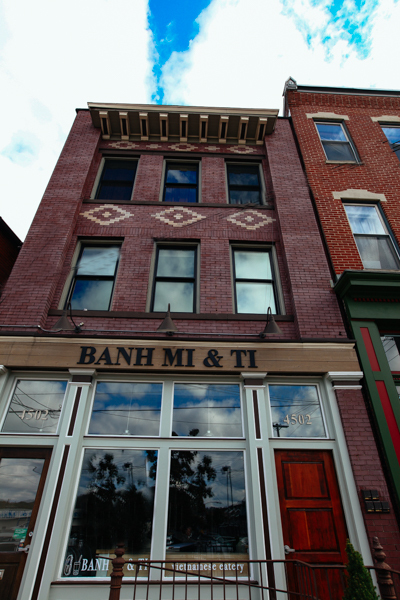 Bánh Mì and Tí is located at 4502 Butler St. in Lawrenceville and is open 7 days a week from 11 a.m. to 7 p.m. You can follow them on Facebook and Instagram.